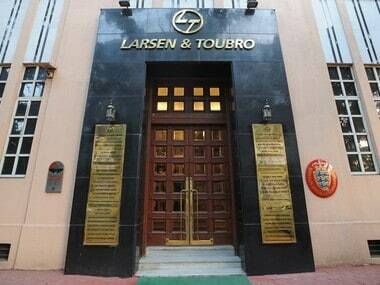 Mumbai/Bengaluru/New Delhi: Infrastructure major Larsen and Toubro on Tuesday moved in to allay concerns over its Rs 10,800-crore bid to take over IT services firm MindTree, whose management strongly objected to the proposal calling it "value destructive" and "grave threat" to the company's future. L&T, which has its own IT business, said it was not making any hostile takeover bid and that the deal was essentially triggered by the Mindtree's largest shareholder -- VG Siddhartha -- offering to sell his shares. With "dil and pyaar" (heart and love), the company will be able to win over everybody, Subrahmanyan said, whereas Mindtree Executive Chairman Krishnakumar Natarajan told a news conference in Bengaluru, "This (bid) is a MeToo moment in the corporate world". Subrahmanyan made it clear that L&T, which is looking at the Mindtree deal as an investment to deploy its cash of over Rs 15,000 crore, will want at least 26 percent stake in the target company. "The attempted hostile takeover bid of Mindtree by Larsen & Toubro is a grave threat to the unique organization we have collectively built over 20 years," according to a statement from the executives, which include CEO Rostow Ravanan and Executive Chairman Krishnakumar Natarajan. "We don't see any strategic advantage in the transaction and strongly believe that the transaction will be value destructive for all shareholders." The board of Mindtree will meet Wednesday to discuss share buy-back plan and way forward after L&T bid. "As far as buyback is concerned, the board will deliberate on the buyback or the open offer tomorrow within the framework of the laws. 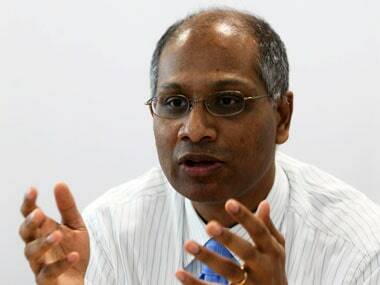 Obviously, there are laws - what the board can do and cannot do under the circumstances," the Mindtree CEO said. Natarajan said L&T has decided to mount first-ever hostile bid in the 50-year-old unblemished Indian IT industry. Asked about the options for the company to fend off L&T takeover, Natarajan said there are various options and the company remains 100 percent committed to its long-term vision of building an independent company. "Nevertheless, what I would like to state is our 52-week high was Rs 1,183 and the deal was done at Rs 980. That only reflects the value of the transaction," he said. Natarajan said that the customers of Mindtree have selected it for its unique culture and warned that clients would "stall all future business and even take their business elsewhere" and demolish value for shareholders of both companies. L&T had on Monday agreed to buy 20.3 percent stake at Rs 980 per share in the IT firm for about Rs 2,370 crore from V G Siddhartha, the largest shareholder in Mindtree through Coffee Day Enterprises and affiliated entities. At the same acquisition price per share, it placed orders with brokers to buy another 15 percent of the market and announced an open offer for a further 31 percent stake.